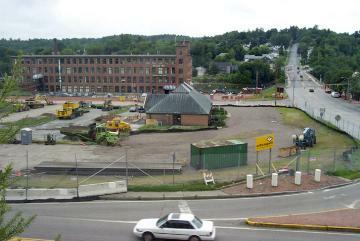 In this third photograph from a four part series documenting Winooski's urban renewal, one can see an enclosed lot full of construction equipment at the edge of E. Allen St. Just behind the fence a yellow sign denotes the construction as being carried out by Pizzagalli Construction Company. 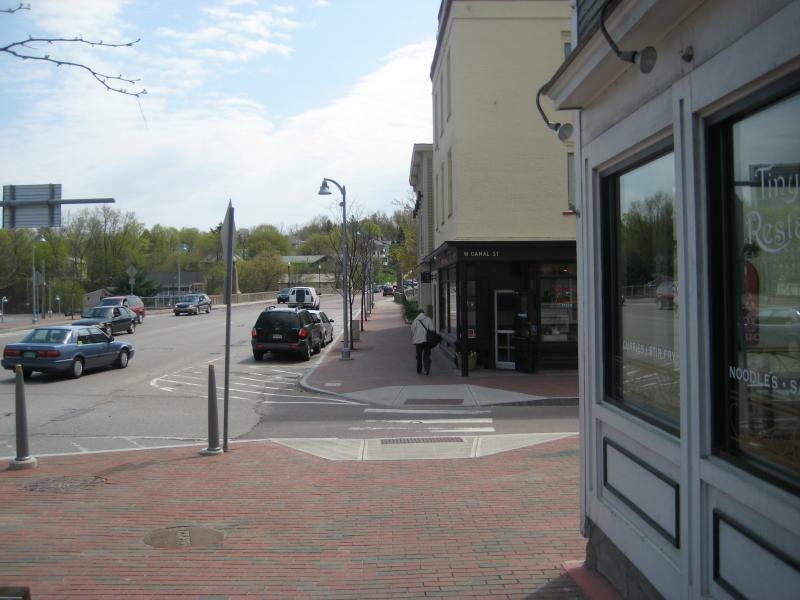 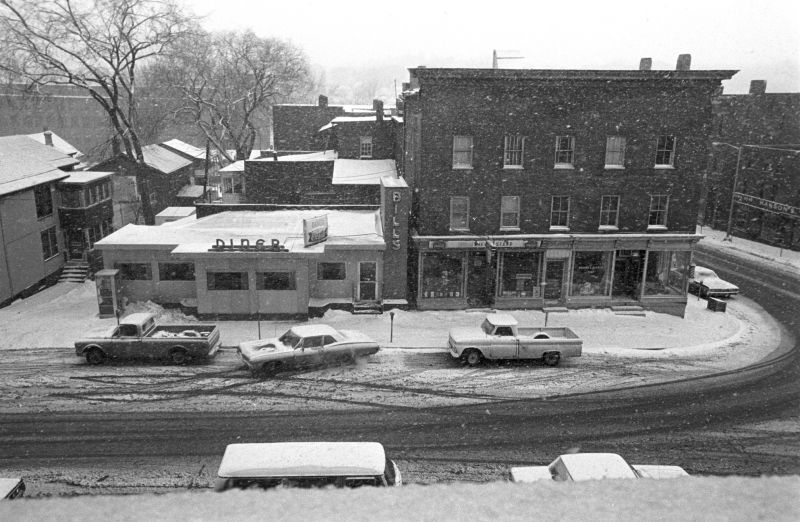 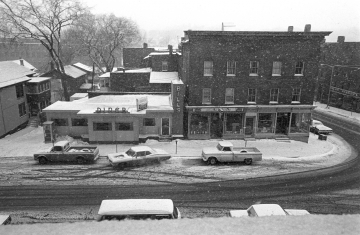 To the right of the lot, Main St. runs up the hill toward Burlington. 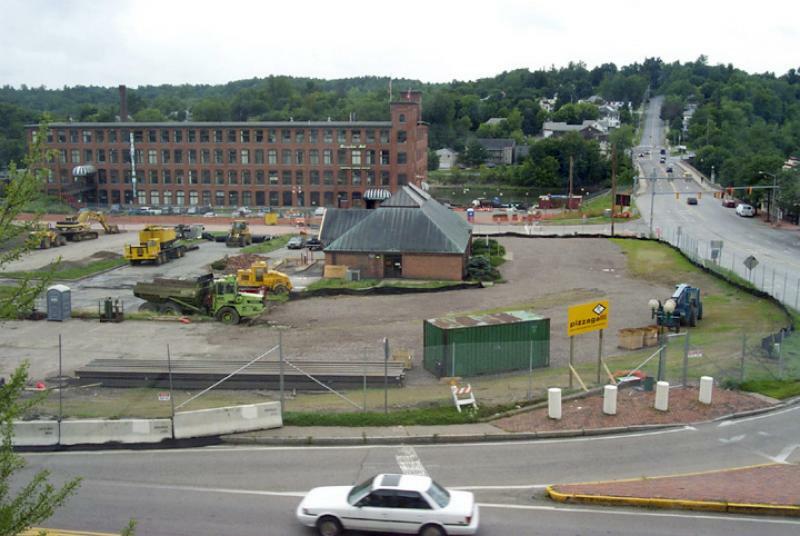 Behind the lot, at the edge of Canal St., a large four-story brick building is visible in front of the Winooski River. 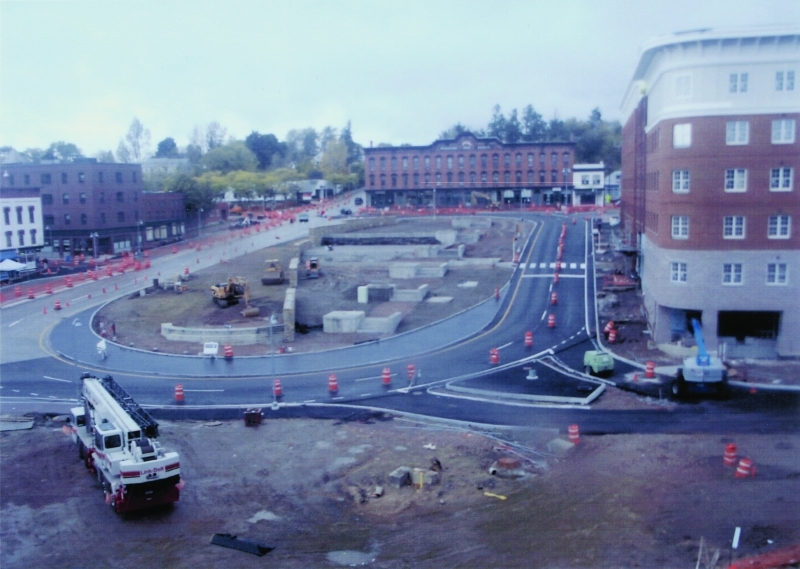 Several vehicles can be seen driving.